Nowadays, Apple users are claiming about their iPhone power button not working. This might be new for some users and hence they might get worried. But there is no need to worry since we have some solutions that can help you if your iPhone power button not working after update. 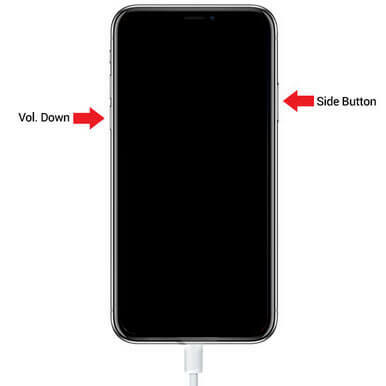 Why iPhone Power Button Not Working? Before we move on to some solutions, here are some reasons that cause this issue. Hardware Issues: It is obvious for your iPhone 6 power button not working if the button is broken or damaged. Hence, most of the times, it is this hardware issue lead to the iPhone power button to not work. Software Issues: Most of the times, it is a software issue that causes power button to become inoperative. Hence, you should check for a faulty app or a wrong update to the iOS. If you find the reason behind this issue to be related with software, then you might find the solution below. Now that you have a general idea of the reasons behind this issue, let us have a look at the possible solutions. How to Fix iPhone Power Button Not Working? If the issue is related to iOS, updating the operating system can resolve the issue. All you require to do is update the iOS of your device. Follow the given steps below. Step 1: In order to update your device, you will need to connect your iPhone to a power source. Make sure that it is connected to a strong Wi-Fi network. Step 3: If the update is present, all you need to do is download and install the update. Make sure your device is connected to the network and the power source throughout the process. Using AssistiveTouch is less of a solution and more of an alternative to the power button. This feature will help you use the Home button from within the iPad through the screen. You can also turn off your device (which requires power button). All you need to do is enable the AssistiveTouch on your device. This can be done by following the below steps. Step 1: Head to Settings >> General >> Accessibility >> AssistiveTouch. Step 2: Turn on the solider for AssistiveTouch. Step 3: You can also tell Siri to turn on AssistiveTouch. She will do your job. Placing your iPad in recovery mode may help solve the issue if it due to any software glitch. Here are the steps that you need to follow. Step 1: Connect your device to your PC and run iTunes. Step 2: While your device is still connected to the computer, switch off the device and force restart it. Step 3: Let go off the home button of your iPhone when you see Connect to iTunes screen. Your device is in recovery mode. If you have modified any setting, which led to this issue, then resetting all setting might help you solve this issue. Here are steps that need to be followed if your iPhone power button not clicking. Step 3: In Reset, click the Reset All Settings options. If the issue still persists, then you can always use Any iOS System Repair . This software provides one click solution to every iPhone issue. Here are the steps that you need to follow if. Step 1: Run Any iOS System Repair on the computer. Connect your iPhone to the computer and run the tool. Now, click on "Repair Operating system" option. On the next screen, click "Start Repair" option. Step 2: Look for Download option to install the latest firmware package online. If you have already downloaded the firmware package, you can also import it manually. Step 3: On the subsequent screen, tap "Repair Now" to begin the recovery of your iPhone. After the process ends, your iPhone will reboot with the latest iOS 12 in it working fine. If the issue is caused due to any hardware damage, it is better to visit the nearest Apple Care Center. If the power button is broken, then get it repaired. 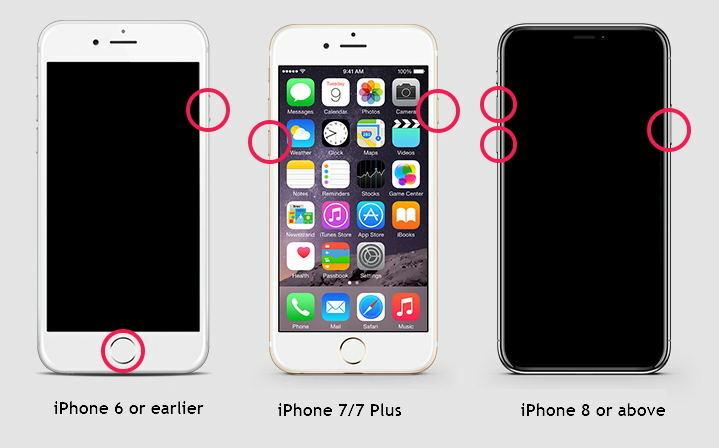 You just had a look on the best 6 solutions if your iPhone home button power button not working. Do let us know your feedback on the article by commenting below.